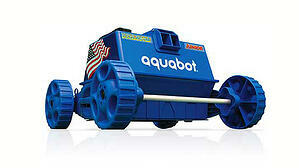 Suction, Pressure & Robotic Automatic Pool Cleaners: What's the Difference? 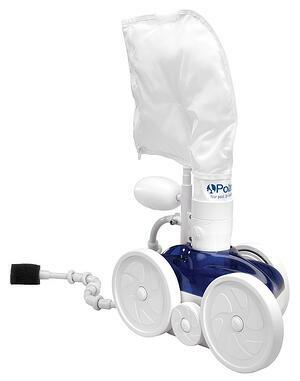 With everyone being busy and wanting to spend the extra they do have relaxing, we are seeing more and more of our customers turning to automatic pool cleaners to help give them time back! 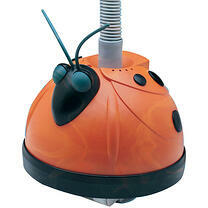 If you’ve ever been to someone’s house and seen a small underwater robot having a grand time in their pool, that’s an automatic pool cleaner! They can work with your filtration system or on their own but they help keep debris and algae from building up in your pool. This helps to take pressure off your filter (making it last longer and need less maintenance) and aids in keeping your pool crystal clear and splash ready! 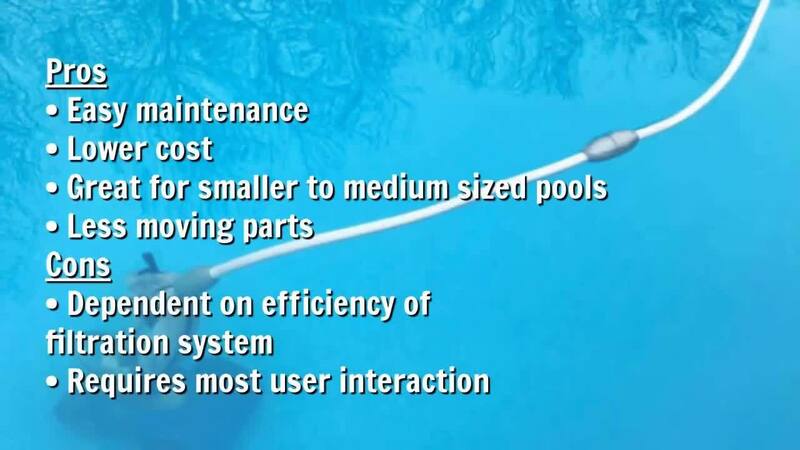 Whether you have an above ground swimming pool or an in-ground swimming pool, there are three primary types of automatic pool cleaners to choose from! 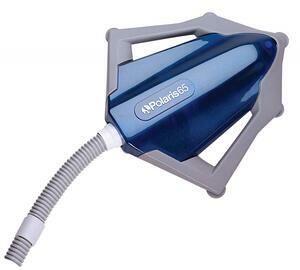 As the most wallet-friendly option, suction-side cleaners have become a favorite pool tool for many busy homeowners. This cleaner connects to your existing skimmer or dedicated suction line and travels around your pool sucking up debris to send through your pool’s filtration system. 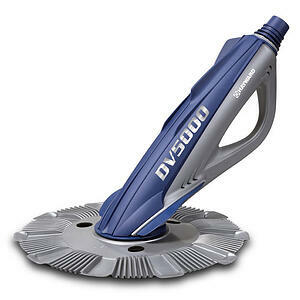 They are great for picking up medium-sized debris and can be set to pick up small debris such as silt or sand! A few even climb walls for expanded cleaning areas! Suction side cleaners run when your pump runs, so you don't really use any more or less electricity than normal if you use it inside your normal filter cycle. Since the cleaner is dependent on the filter systems efficiency, once your filter has started to get close to its capacity, the cleaner will become less efficient. For this reason, these cleaners are used a few times per week, vs. leaving them in for long periods of time. Pressure side cleaners use water pressure from a dedicated booster pump and/or pool pump to drive the cleaner around your pool, forcing debris into a filter bag where it can be easily collected and removed. These cleaners typically operate every day, maintaining a constantly clean pool. Cleaners that don't use a booster pump are commonly run for the duration of your normal filter cycle, although it isn't necessary it runs that much. Cleaners that do use a booster pump are normally set up on a secondary timer system, automating it to come on and off every day for a certain amount of time; typically, 2-4 hours. And since these bad boys have their own filter bag, you won’t add any additional stress to your existing pool filter! Pressure side cleaners are great for picking up medium and large debris. Finer particles will flow through the filter bag, but the sweep tail scrubs the floor, and stirs up the dirt for your pools filtration to filter out. You could emphasize the term robot when referring to Robotic pool cleaners for extra cool points but these guys don’t really need the help! First of all, they pick up debris of all sizes, so they can do the job you are buying them to do. 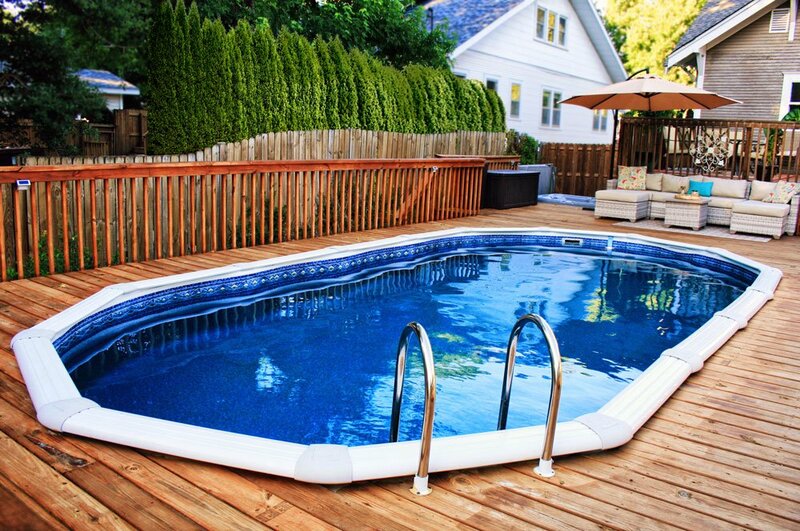 On top of that, they do not hook up to any part of your pool’s existing filtration system! That’s right, neither your pump nor your filter will have any extra strain put on them to help the cleaner perform. How is this possible?! Robotic cleaners are self-contained filtration systems in and of themselves. Because of this they reduce your overall power costs and consumption making them the industry’s most energy efficient automatic cleaners. Premium models come equipped with awesome features like remote controls, waterline scrubbing, four-wheel drive, and programmable cleaning cycles. Plug them in and put them in the water! No hooking up to existing equipment. No tools needed. Grab and go! 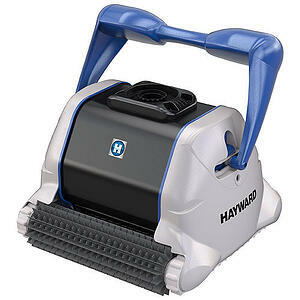 For more information and pricing on automatic cleaners, click here!